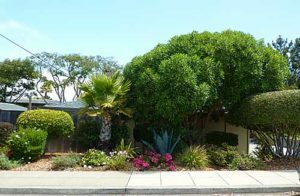 451 Dela Vina #302 Sold for $375,000 closed in 3/9/2018 Not updated. Sold within 8 days of hitting the market! 2 bedroom, 1.5 bath 1026 sq ft.
2 bedroom, 1.5 bath, 1026 sq. ft.
451 Dela Vina #402 Sold for $390,000 closed in 12/15/2017 Remodeled kitchen & bathrooms, newer wood floors. 2 bedroom, 1.5 bath 1026 sq ft.
420 Dela Vina #12 $399,000 End unit, Laminate floors, single car garage, storage room, small patio yard. 420 Dela Vina #5 – Sold for $368,500 closed in 8/30/2016 Sunny unit, move in condition. Attacahed single car garage, patio. 2 bedroom, 1/5 baths, 946 sq. ft.
420 Dela Vina #12 Sold for $365,000 close in 9/31/2016 Updated condo, single car garage, small patio yard. 2 bedroom, 1.5 baths, 884 sq ft.